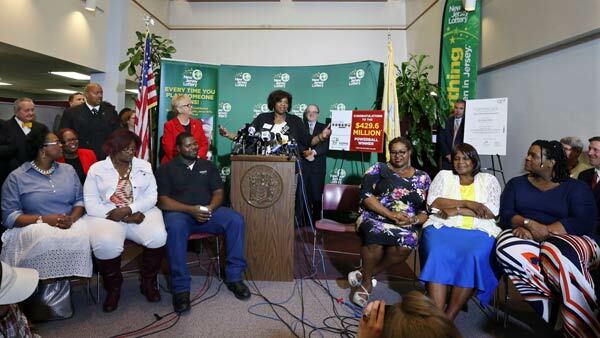 TRENTON, N.J. -- A New Jersey family has put their winnings from a $430 million Powerball lottery to help others in their hometown. Family nephew Harold Smith, the program manager, tells NJ.com the foundation was set up to invest in organizations and programs that will result in long-term improvements on many fronts, including education, neighborhood development and youth and families. "I could have gotten a yacht and never come back, but we just have a heart and mind to do this work," Valerie Arthur, one of Pearlie Mae Smith's daughters, told the media outlet. "It's a blessing to have the ability to do whatever you want to do in this life and yet you choose to come and help somebody else __ that right there is divine intervention." Funding for the Trenton organizations will range from small grants and summer programming to one-year and three-year grants. "We want to fund programs that directly affect systems of poverty so we can help change the systems or change the dynamics that are causing people to be in poverty," Harold Smith said. "Rather than just helping them find food or give away food, we can make it so they now have the ability to obtain employment, get their proper education in order to be able to go out and get their own food."